Many attempts have been made to educate the public on how to protect themselves when it comes to providing accurate machinery and equipment values. Oftentimes, people rely on surface-level information from an appraiser, which does not give an indication as to the level of accuracy or competency. Cole Appraisal Solutions is committed to preserving the public trust inherent in the appraisal process. 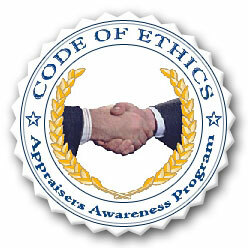 The purpose of the Code Of Ethics And Competency Appraiser Awareness Program is to protect the public from unsubstantiated or questionable machinery and equipment appraisals. Our seal serves to alert the public to the documentation we know is necessary to prove that an appraiser is competent. This assures an appraisal will be substantiated, accurate, irrefutable, defensible and will withstand scrutiny. What Do The 4 Strict Points Mean? Each Certified Appraisal is USPAP Compliant. We are an advocate ONLY of the Appraisal, not of any person or entity. We maintain our objectivity and are independent appraisers. We have earned the professional designation of CMEA (Certified Machinery & Equipment Appraiser). Comprehensive and substantiated estimates of value that hold up to scrutiny with the IRS, lenders, buyers, sellers, courts, CPAs, attorneys and others. The Certified Machinery & Equipment Appraisers At Cole Appraisal Solutions!